This quote met me one morning as I sat down for my time with God. And it hit me square between the eyes. I am a fixer by nature and like to figure things out. Often to my detriment I try and try to solve something until I’m out of ideas and frustrated then I ask someone to help me. Usually I find that if I had asked for help before I started things would’ve gone much more smoothly. Sadly going to God is too often the same. I’m sorry to say that many times I choose prayer as a last resort. If I can’t find a solution for something on my own I talk to God about it. This is certainly a backwards way of thinking and something I work on daily. God has given us an incredibly powerful tool in prayer. He promises that when we come to Him our prayers will be heard and answered. Our prayers can bring us close to God, encourage and inspire us, challenge us, and show us miracles. I’m not an expert on prayer, but through reading and my own experiences I have found a few things I’d like to share with you. 1. While spending a concentrated block of time with God in prayer, thanking, seeking and listening to Him is important God doesn’t intend for us to pray only when we can get to our quiet place with a chunk of time. There isn’t anywhere that you can’t pray. When someone comes to mind, breathe a prayer for them. When you see something beautiful, say “thanks” to God (yes, that’s a prayer if you’re talking to Him!) These prayers may give a friend just the encouragement they need at a difficult moment and keep you in constant contact with God, developing a closer relationship with Him. 2. Do you know how powerful your prayers are? If you are a child of God and the Holy Spirit lives in you the power of God also resides in you! Sometimes we hold other Christians in high regard because of their knowledge or gift of speaking and believe that God hears them better than us. We want someone ‘important’ to pray so that God will hear and answer. Guess what? You are just as important in God’s eyes as any other person He created. Your prayers are POWERFUL! Believe that and you will see God bless your efforts. 3. 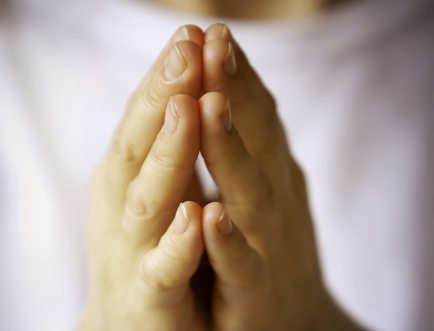 The habit of prayer is much more important than the words we say or how we say it. I am learning to change my thinking about prayer. Instead of saying, “I can’t do anything to help, so I will pray” I am learning to pray first. Many times God will then show me if there is something more He wants me to do. I’m still working on understanding the full power of prayer. I’m thinking it may take my lifetime — at least! What have you learned about the power of prayer? The power of prayer, for me, is the power of conversation with the One who knows me BEST yet still loves me MOST. Simple at the first thought…but the more you realize just who HE is, the more you realize that it is amazing because I, a poor peasant, can have audience with the King at ANY time…no matter my condition. Thanks Bina! I love your thoughts on prayer. It’s humbling and empowering all at the same time when we realize we truly are kids of the King! !